I hoped to not need blood on Réunion. Sharks there take plenty. The festival is to celebrate life. Goal is to celebrate around this simple, generous and supportive as blood donation. A gesture that allows to treat each year in France more than a million patients. While the need for blood products increases faster than the number of gifts, come to discover or extend your knowledge on the wonderful world of blood donation. I circumnavigated. Marveled at the lava flows in the southeast. Acres of sugarcane, pampas grass. East-northeast was sparse, lush, less trafficky. South was congested and not nearly as pretty. Near sunset there appeared lush scenery on the Plaine d’Affouches, behind La Possession. Coconut plantations below. Stark white homes on the green hillside. Few people spoke English. For dinner I walked to a snack bar at La Prachois in St-Denis; used my phrasebook to order a jambon (fries + ketchup + cheese melted on top) for 3 euros, plus three Bourbon beers. I was struck by the fact that France (5,700 miles northwest) instilled this. The architecture, the language, et al. 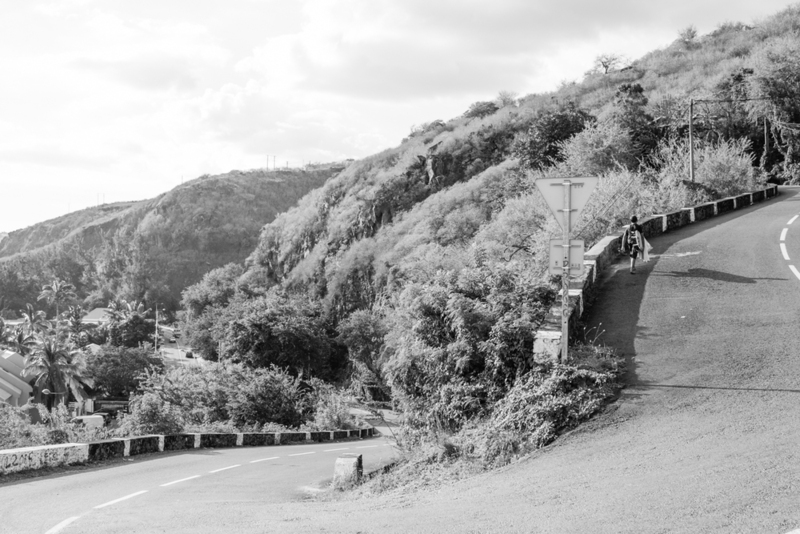 If Réunion was never a French colony, it might be like, what?—it’s hard to say, because most islands nearby were all French colonies, from Madagascar to Comoros to Rodrigues. Next day. Early. Sunny. Breakfasted on strong espresso and croissants, fresh pineapple, yogurt, pineapple juice, cheese, baguettes. The surf was pumping, the weather perfect—blue sky, light wind, not muggy, not hot. 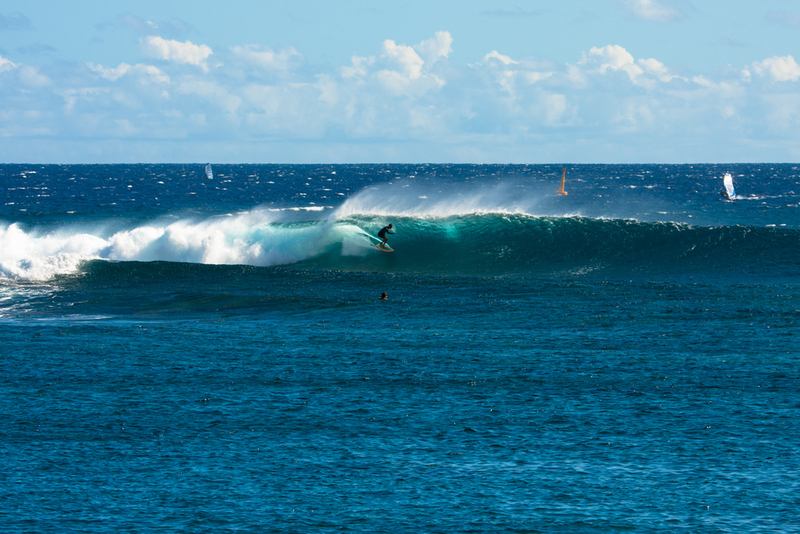 The sets were inconsistent—a 15-second swell from the southwest. The lineup was not pedestrian. One guy was truly ripping; from afar, I figured he was another Réunionnaise star like Boris le Texier or Jeremy Flores. “Man, that guy can really surf,” I thought. Turns out he was some guy filming on site for the “Modern Collective” film, which I learned this morning after randomly browsing Surfing magazine’s website. Some guy named Jordy Smith.